Oddworld Inhabitants has finally given us another peek at the upcoming Abe’s Oddysee: New ‘n’ Tasty. This time the focus is on something a little different, though – it seems the classic RuptureFarms product posters are getting the HD treatment. 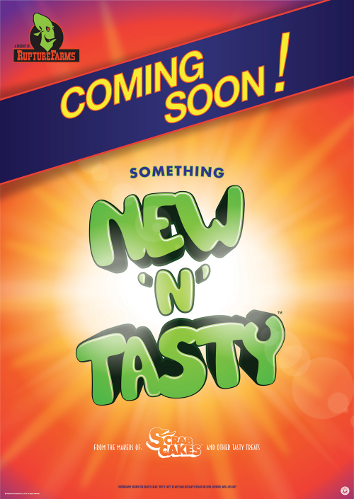 Jonny Eveson’s poster design for New ‘n’ Tasty. And as the cherry on top, the original teaser is introduced with “we’ve been working on some cool ideas for you guys to enjoy outside of the games”, suggesting that we may be seeing printed posters gracing our walls as well. NOTE: This story was originally written on August 29th. Due to our extensive downtime, some of the story details have changed – several subsequent updates have increased the roster of PSOne games available in North America. You may have heard about PSOne Classics, the recent addition to Sony’s PSVita which allows players to download and play games made for the original PlayStation console. Well, Oddworld Inhabitants have announced in a post on their website that Abe’s Oddysee and Abe’s Exoddus are a part of the opening lineup, alongside over 100 other PSOne games. PSOne Classics allows players to buy and download PSOne games and play them on their PSVita. If a player has previously bought a PSOne game through their PlayStation 3 they can simply redownload it or transfer it from the PS3, without having to repurchase the game. Unfortunately, the regional differences between Europe and America were quite staggering – Vita owners in America initially only had access to nine PSOne games, while European customers got the full lineup of 130. Both Oddworld games were at first only available in Europe, and were not included in the nine available to America. Luckily an expansion of the catalogue was promised, with Alf happily confirming via Twitter that Oddysee and Exoddus would be coming soon to American Vita owners. Both Oddworld games were made available in North America in an update only a single day later. Oddworld Inhabitants has announced that Abe HD will be showcased at the upcoming Eurogamer Expo event in September. The expo takes place from 27-30 September at Earl’s Court, London (that’s the British London for anyone confused), and will feature many upcoming games (such as Assassin’s Creed 3 and Far Cry 3, among others). Development team Just Add Water and series creator Lorne Lanning will be on stage at 2:30pm on Sunday 30 September to talk about the history of the Oddworld series and give a demonstration of Abe HD, as well as to announce exclusive details about the game. Tickets are currently available via the Eurogamer Expo site. In a rather unexpected turn of events, Oddworld Inhabitants have released an official soundtrack for Oddworld: Abe’s Oddysee (the original, not the as-yet untitled remake). The soundtrack, originally composed by Ellen Meijers, has been made available to purchase as a digital download through iTunes and Amazon UK, and is available for streaming on Spotify. It is only the second music soundtrack to be released by the Oddworld team, following Michael Bross’ soundtrack for Stranger’s Wrath released in 2005. UPDATE: The soundtrack has also been made available via Bandcamp, along with the Stranger’s Wrath soundtrack. 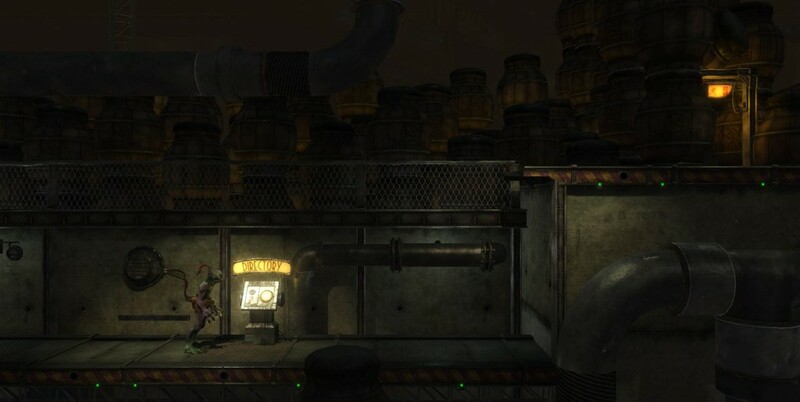 In a post on the official Oddworld.com blog, Oddworld Inhabitants have reached out to fans for suggestions on naming the game currently referred to as “Abe HD”. The post states that the team do not simply wish to title the game “Abe’s Oddysee HD” as this would make it “sound like [they have] injected bigger pictures into the original engine”, as opposed to a full “grounds-up” 3D remake. A rather nice prize is being offered for the winning suggestion – besides having their suggestion used as the game’s title, the winner will have their name in the game’s credits and will be awarded a poster of the game’s cover art, signed by artist Raymond Swanland. Suggestions are to be entered via the form attached to the blogpost, and must be submitted before August 10.